Lime is the first nonhydraulic cementitious material used in construction. Due to its rich raw materials, simple production equipment and low-cost, it is still widely used in construction projects. The raw material for lime is mainly rock which mainly contains calcium carbonate. The most commonly used raw material is limestone, in addition to dolomite and chalk powder. The raw materials often contain some clay impurities, which generally require impurities do not exceed 8%. Besides, chemical industrial by-products can be used as raw material to produce lime. When limestone is calcined at a suitable temperature and calcium carbonate is decomposed to release carbon dioxide, thereby obtaining quicklime with CaO as a main component. Before the use of quicklime, it needs to be dissolved in water and becomes hydrated lime- Ca(OH)2. This process is called lime slaking. The hardening of lime in air is a simultaneous process of lime crystallization and carbonization. During the using of lime slurry, due to the gradual evaporation of free water and absorption by masonry, the solution was oversaturated to a certain extent, which gradually crystallizes Ca(OH)2 and promotes the hardening of lime slurry. The carbonization process is that Ca(OH)2 and CO2 react to form calcium carbonate crystals that are not dissolved in water, and the resulting water is gradually vaporized. 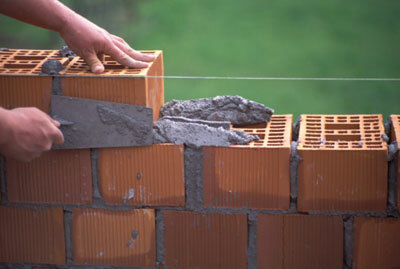 Lime paste is a common material used in plaster mortar and masonry mortar. Lime paste or hydrated lime powder can be used to prepare lime mortar, or mix with cement to prepare masonry mortar for surface engineering. Adding fiber such as paper strip or hemp to lime can make lime slurry for coating of inner wall or ceiling. In addition, hydrated lime powder can be used as mortar filler.